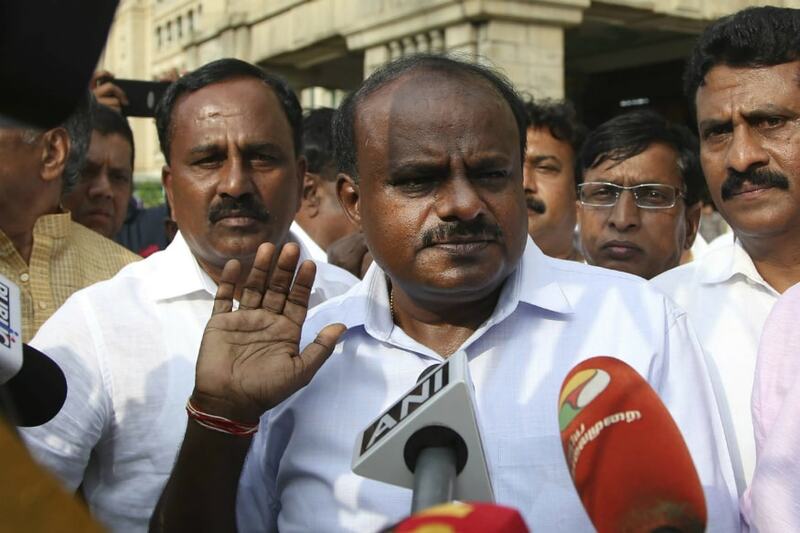 Bengaluru: Karnataka Chief Minister H D Kumaraswamy on Sunday said he has not received an invite for the Prime Minister's official programme in Hubballi-Dharwad and accused the Modi government of indulging in "petty politics". "Today's Narendra Modi's programmes, till now no officials have come to invite me," he told reporters before the Prime Minister arrived at Hubballi. Speaking to reporters here, he pointed out that for railway projects, the state government shares 50 per cent of the amount, along with land. They don't have basic courtesy to invite. They are indulging in cheap politics," he added. Modi's Sunday programmes include laying the foundation for the IIT Dharwad building and gas pipeline project, among others, besides addressing a political rally in Huballi later to kick start the BJP's Lok Sabha poll campaign in the state. The Prime Minister is expected to visit the state two more times this month on February 19 and 27 to campaign for BJP that has set a target of winning over 22 of the total of 28 Lok Sabha seats in Karnataka. Karnataka Pradesh Congress Chief Dinesh Gundu Rao also hit out at the Modi government for not inviting the Chief Minister to official programmes at Hubballi and termed it as an "insult" to Karnataka. He alleged that the Modi government was claiming credit for establishing an IIT in Dharwad without acknowledging the contribution of the state, that allotted 500-acres of prime land for this purpose.